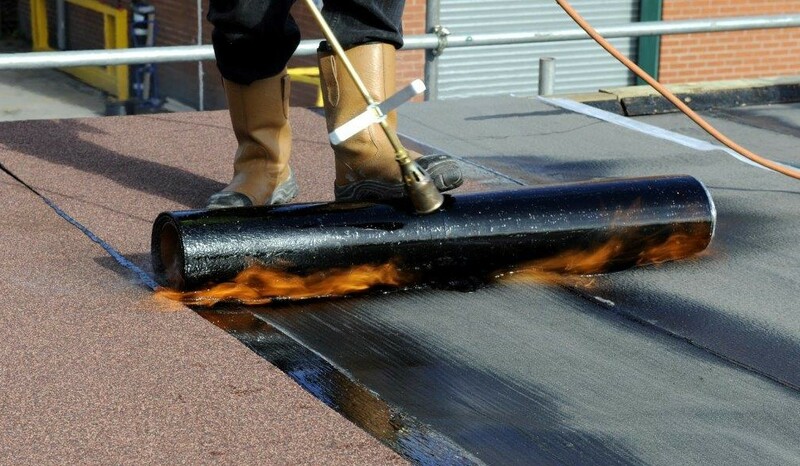 The SIGnature Torch on System range is an EXT.F.AA fire rated roofing system intended for both new work and overlay projects. Offering 20 or 25 year warranty packages dependant on the underlay option selected ensures that you can tailor the system to your client’s requirements, and come in on budget. The SIGnature Torch On Cap Sheet is a fire retardant formulation, polyester reinforced, SBS, torch applied finishing layer. This cap sheet is utilised on both the 20 and 25 year systems and will achieve an EXT.F.AA fire rating as standard. It is available in two mineral finishes, black or green. There are three different underlays that can be utilised within the system and it is this that will dictate the warranty period. A polyester carrier, reinforced, SBS, torch applied intermediate or base layer (dependant on specification). Using this underlay option will qualify for a 25 year warranty if used in conjunction with the SIGnature Fire Rated Cap Sheet. A glass tissue carrier, reinforced, SBS, torch applied intermediate or base layer (dependant on specification). Using this underlay option will qualify for a 20 year warranty if used in conjunction with the SIGnature Fire Rated Cap Sheet. SIGnature UnderlaySA is an elastomeric self-adhesive, polyester fabric reinforced underlay. Coated with SBS modified bitumen that has a smooth upper surface that forms an ideal surface for bonding subsequent cap sheets and has a release film backing. Using this underlay option will qualify for a 25 year warranty if used in conjunction with the SIGnature Fire Rated Cap Sheet. Please note these underlays can be directly applied to a torch receivable Insulation Board only, without the requirement of a venting base layer. To be used as the venting base layer on all overlays to bitumen substrates where a partial bond is required. To be used over a primed substrate beneath the Insulation to prevent moisture contamination. To be used to prime all timber and old bitumen surfaces prior to torch application. To be used to prime the roof surface prior to application of the SIGnature Self Adhesive VCL. Fast drying primer for adhesion of self adhesive bitumen roofing membranes. To be used as the nailing prep layer on a Timber Deck. The SIGnature Torch on System is available at all SIG Roofing branches throughout the UK. Speak to a member of our staff for help and advice, please click here to find details of your local branch.